It’s not uncommon for fitness business owners to launch their studio or gym using spreadsheets to track key business data and a credit card payment terminal to collect payments. But you can run your fitness business so much smarter with membership billing software, even from the very beginning. Membership billing software gives you an abundant set of tools which will allow you to be an informed and profitable business owner, and we’ll explain more now. Without membership billing software, you can’t automate your billing and payment collections, so you’re stuck chasing down membership fees and letting revenue slip through the cracks. Yes, that’s what you’re doing if you are relying on a manual collection process. You’re losing money and wasting much time doing so. However, with membership billing software, billing and payment collection is automated, so you collect your receivables on time, every time. Once you set someone up with a membership, their automated payments process and post to their account, without you doing any more work. If a member’s credit card is about to expire, they receive an automated system notification prompting them to replace their card number. From there, the payment processes automatically. If the member doesn’t remember to replace their card number, your software’s full-service billing team can take over and ensure you get paid. Not only will automated payments help you collect more money, but they’ll make it easier to budget and manage your finances. Automated payments give you peace of mind and predictability because you know you are going to get paid at the same time each month. That certainly allows you to look ahead, make projections and grow your business. 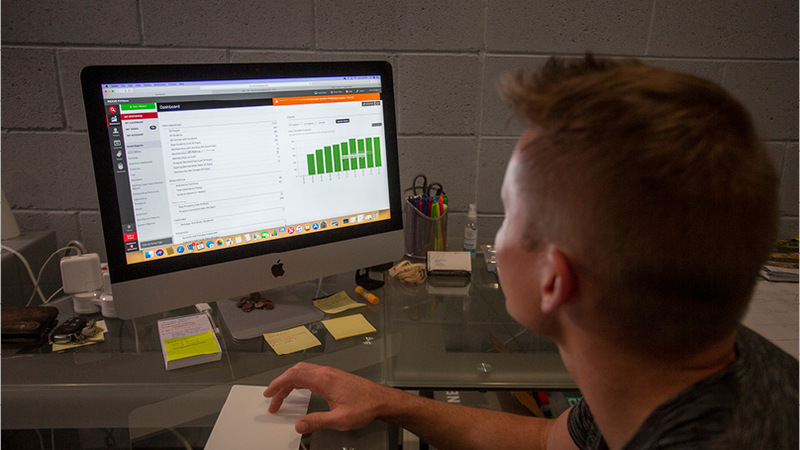 Membership billing software helps you accurately track sales and run key reports to give you a clear picture of your gym’s overall financial health. With these comprehensive reports, you will have the ability to make well-informed, day-to-day decisions and stay on track with your bigger financial goals. For instance, if you notice your leads are declining, you’ll know to increase your marketing budget or try new marketing strategies. Likewise, if you see a sharp increase in the number of students per class, you can open up a new class time each day to accommodate the growth. But without easy access to your business reports, you won’t be able to make these sound operational decisions. Your members need the ability to perform basic self-service tasks, like reserving a class, checking in when they arrive and changing out credit card information for billing. Membership billing software gives you this functionality and frees up a lot of your time. Self-service features also keep your members happy, which helps with member retention. Finally, membership billing software secures your members’ personal data. This feature alleviates the concerns associated with ever-rising cases of fraud and data theft. Your billing software should be compliant with the Payment Card Industry Data Security Standards, which are the accepted payment industry safety standards. As you can see, with membership billing software, you’ll run your business smarter. You’ll save time, collect more money, make better decisions and keep your members happy. If you’re ready to see the results of membership billing software in your business, contact us today!